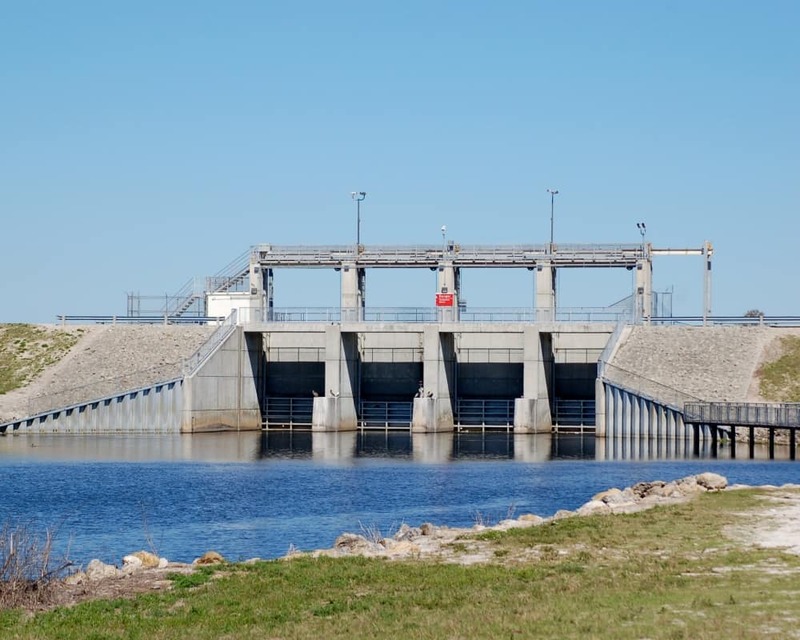 Two congressmen representing Florida and other officials toured the Herbert Hoover Dike, the 143 mile dam around Lake Okeechobee and a core part of managing the Everglades, on Wednesday as the federal government continues to fund its rehabilitation. Republican U.S. Reps. Mario Diaz-Balart and Francis Rooney, Florida Department of Economic Opportunity Director Cissy Proctor and Clewiston Mayor Mali Gardner joined U.S. Army Corps of Engineers leaders in the tour. The two congressmen focused on the $514 million in funds the federal government is using to rehabilitate the dike. “As founder and co-chair of the Everglades Caucus and a member of the House Committee on Appropriations, I have worked tirelessly to successfully secure the necessary funding to keep the dike’s rehabilitation on track,” Diaz-Balart said. “The dike is critical to the communities that surround Lake Okeechobee as well as to our local ecosystem and expediting its completion has been the number one priority for counties throughout Southern Florida. These additional funds for the Dike will do just that, and I am proud to be here today to see first-hand how the Army Corps will utilize these funds to achieve this. The freshman Republican believes having federal and state officials tour the area and see the damage can have an impact. “Bringing our federal, state, and local agencies together to see first-hand the toxic algae blooms plaguing our community is critical to ensuring a coordinated effort to address immediate damage while long-term solutions to permanently fix our water quality are enacted,” Rooney insisted.